Extension is one of several sponsors of the conference, set for 8 a.m. to 5 p.m. Friday, March 2, at the Minnesota Landscape Arboretum in Chaska. 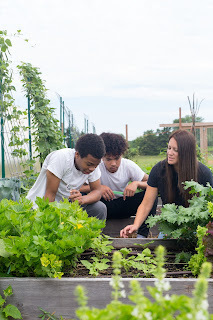 The gathering is open to educators, school administrators, food service personnel, and any supporter of schoolyard gardens as a way to promote children’s health and well-being. 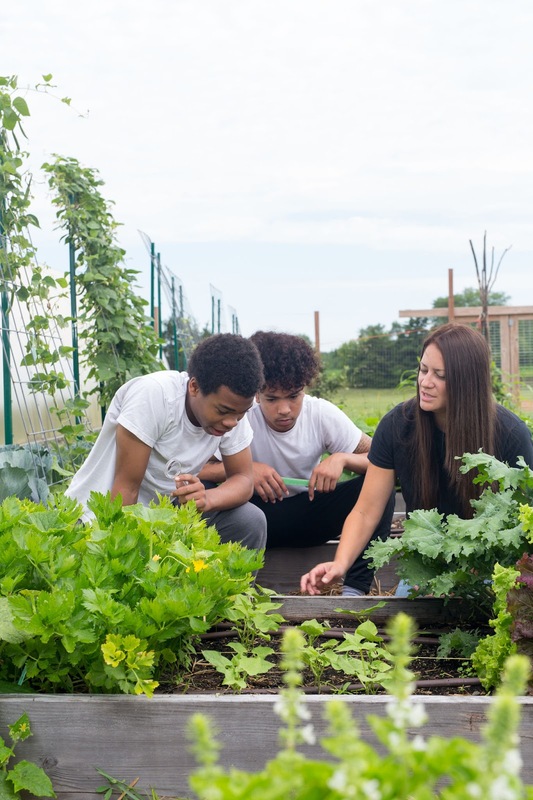 The conference will feature a keynote address by Amanda Maria Edmonds, founding executive director of Growing Hope, a non-profit organization dedicated to helping people grow and access healthy food in southeast Michigan. Since 2014, she has also served as the mayor of Ypsilanti, Mich. The “Sustainability Through Policy” panel includes Stephanie Heim, associate program director with Extension’s Rochester regional office. Deb Dilley, SNAP-Ed educator, Northeast Region, will co-moderate the panel. The “School Garden Program for the Whole School” presentation” will spotlight Bruce Vento Elementary School in St. Paul. The school has partnered with the Extension Children, Youth & Family Consortium (CYFC) on the garden project and other efforts to create a trauma-sensitive learning environment at the school. Speakers at this presentation will include Kirsten Saylor, former school garden coordinator with CYFC who continues this work at Bruce Vento school through a contract with the St. Paul School District. In addition, Jodi Nordlund, SNAP-Ed educator, Itasca County, will co-facilitate a breakout session about the Van Dyke Elementary School’s garden in Coleraine. Dilley notes that the conference will feature a first this year: A lunch for school garden supporters from Greater Minnesota. As a member of the Minnesota Schoolyard Garden Coalition Stewardship Team, she is helping organize this networking lunch. Efforts to establish regional hubs for the coalition will be discussed at the lunch. For more information and to register for the conference, visit this web page: 2018 Minnesota Schoolyard Gardens Conference. Cost is $75 for general attendees and $65 for arboretum members. Financial hardship assistance may be available. Call (612) 301-1210 to inquire.